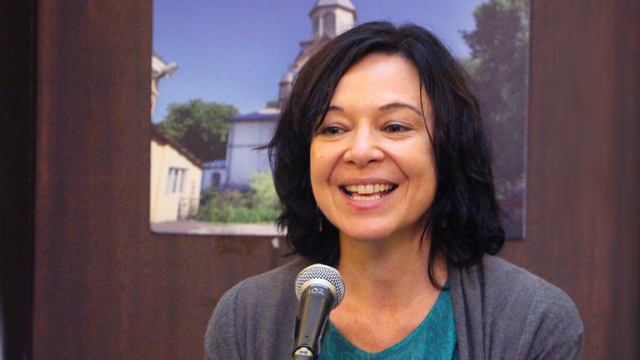 Mariana Bayo Mora described a decade of ethnographic research with the Tsetal and Tojolabal peoples of the Zapatista territory in Chiapas, Mexico, as a collaborative experience in which the indigenous communities insisted on shaping her research methods. UCLA International Institute, December 18, 2018 — “It’s not how you decide on the method of interviews or even how [we], as the autonomous government, [are] going to decide. 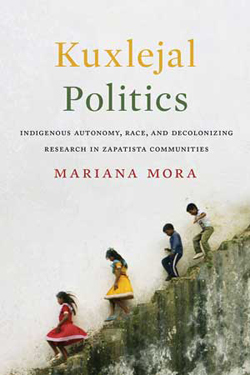 You are going to go to each community… and they are going to decide on the methods,” recounted Mariana Bayo Mora about her experience conducting research in the autonomous Zapatista communities of Mexico. Author of “Kuxlejal Politics: Indigenous Autonomy, Race, and Decolonizing Research in Zapatista Communities” (University of Texas, 2018) and an associate professor at the Center for Research and Advanced Studies in Social Anthropology in Mexico City, Mora spoke at UCLA on November 6. Cosponsored by UCLA’s Cesar E. Chavez Center for Interdisciplinary Instruction in Chicana and Chicano Studies, American Indian Studies Center and Latin American Institute, the event featured Mora in a discussion of her ethnographic research for the book, conducted with Tsetal and Tojolabal indigenous peoples of the Zapatista communities in the Chiapas region. Shannon Speed, director of the UCLA American Indian Studies Center and associate professor of anthropology; and Josh Mayer, a UCLA graduate student in anthropology, served as commentators. The Zapatistas are an indigenous community who obtained a measure of autonomy from the Mexican government in the years following a 1994 rebellion during which they seized towns and cities, as well as land from wealthy landholders. The Zapatistas sought to escape what they call the oppression of the Mexican government and its racist institutions. Rejecting the forms of colonialism embedded in modern institutions, they instead want to create a more equalized social system. Their goal is to create a completely new form of government where everyone in the community has a voice, explained Mora, including new economic and political institutions and new education and health care systems. The Zapatistas reject any intervention by the Mexican state. They have created a local economic system in which they try to ensure that resources are equally distributed among all families in the communities. In addition, related the scholar, they support an education system that teaches indigenous history. The two indigenous peoples (Tseltal and Tojolabal) of the Zapotista municipalities do not trust people outside of their communities; projects by outsiders thus require an extensive approval process. In Mora’s case, a year-and-a-half of correspondence was required before they approved her research. Yet the Zapatistas rejected her proposed research methods because they felt they would reproduce colonial ethnographic investigations. These indigenous communities, she explained, feel compelled to invent new research methods that do not reproduce academic forms of colonialism. “The terms of engagement are radically different and the way we do research is being questioned and redirected, which is also fundamental to how one understands autonomy,” she commented. When the scholar requested permission to conduct individual interviews, the Zapatistas explained that they preferred collective interviews because they did not believe research should be conducted at an individual level. They sought instead to share their collective ideology and come to a consensus on what was important. The communities also suggested separating men and women during the interviews, reasoning that women might prevent women from speaking freely in the presence of men, since they could be coerced into staying silent about injustices within the community. The Zapatista communities have asked Professor Mora to collaborate with them in writing a history textbook for students. The future textbook, she said, will be based on historical archives of indigenous communities in Mexico and seek to communicate a history undistorted by the Mexican government and other colonial actors.